This tractor was rated to pull two 12-inch plows and was well suited for light duties and truck farming. A belt pulley and PTO were standard equipment. 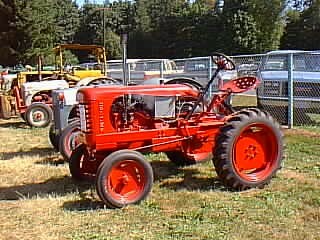 It was produced by the Leader Tractor Mfg. Co. of Chagrin Falls, Ohio.